BackupAssist 10.3 Introduces WebDav Support – An Rsync Replacement? Back in May of last year, there was a veritable buzz in the office as BackupAssist released v10, and with it their shiny new ‘Cloud Backup’ engine, designed at the time to work only with public cloud giants AWS and Azure. The buzz was partly around the potential for the new technology. Here was a backup engine that could happily back up large files over a WAN, that would encrypt, deduplicate and compress, and that could also be set up with very little effort. We mentioned then that this was the first iteration and in the newly released 10.3 you’re seeing the next step. In this latest release, the Cloud Backup engine has been expanded to include support for WebDAV destinations, unlocking a wide variety of destinations including Windows machines, NAS devices, and third-party hosting companies. In addition to supporting local destination media such as USB hard drives, network shares and RDX, BackupAssist also provides a way to back up important files and folders to a public cloud provider such as Amazon or Microsoft. Designed to be an additional layer of protection to your local backup routine, the Cloud Backup Add-on is ideal for disaster recovery scenarios and popular with Hyper-V users who want an off-site location for Guest VM’s. In the second instalment of a new series where we focus on specific features, Neil walks you through setting up a job using the Cloud Backup Add-on, showing both the steps required in BackupAssist and what’s needed in Azure. When the Australian development team at BackupAssist let me know there would be an anti-ransomware feature available so soon after the recent high profile cryptolocker attacks, I have to admit, the timing seemed almost a little too convenient. 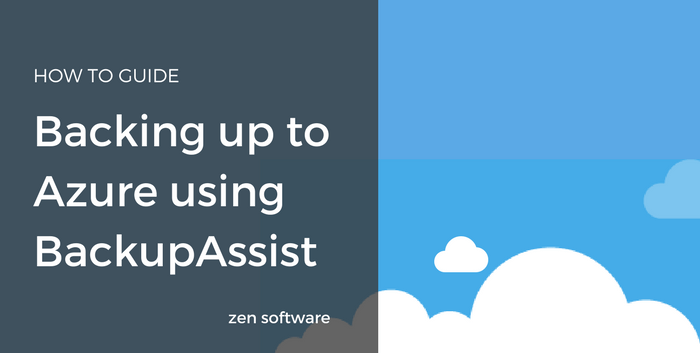 It’s been a couple of months since we announced the launch of BackupAssist v10 and its super efficient new cloud backup engine. The significance of the new engine is that it unlocks the possibility of using public cloud giants AWS and Azure as backup destination options. While the BackupAssist side of things is typically easy to configure, I’ve had a few requests for help navigating Azure’s configuration options, so in this article, I’ll be walking through the steps as they are today. The team at German developer MailStore GmbH have again been busy grilling a little over 1000 of their beloved customers for honest feedback on their products, customer service, and support, in the bi-annual MailStore satisfaction survey. The results (thankfully!) were really good. So good in fact, that they’ve pulled out all the stops, and celebrated with a rather snazzy infographic to highlight their impressive achievements and to give you a warm, fuzzy glow if you’re a MailStore Server, Home, or Service Provider customer. Last year I wrote this article that described how you could use a combination of MailStore email archiver’s auditing features, the Windows task manager and a PowerShell script to send you email alerts in the event an archiving job failed. This worked well but it was a little on the keen side, occasionally being triggered by a job failing that would actually just go on to run fine again shortly afterwards. 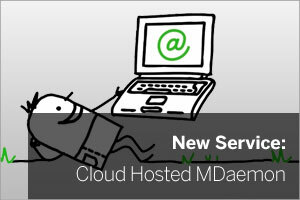 It’s with great pleasure that I’m able to announce the launch of an exciting new service from Zen Software – Cloud Hosted MDaemon Mail Server. This new addition to our portfolio provides the perfect way for companies who recognise the benefits of having their own dedicated mail server, to also take full advantage of the benefits the cloud and hosted services bring. 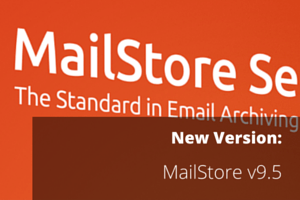 Never ones to be caught napping, German developer MailStore today announced the release of version 9.5 of MailStore Server, which provides the leading email archiving solution with full support for Microsoft Exchange 2016. If you’re already backing up your email as part of a standard routine, you could be forgiven for thinking that adding archiving to the mix would needlessly be doubling up. I should mention at this point, if you’re not doing anything at all, then you really need to be rectifying that situation rather than reading our blog (as nice as it is to have you).